One can't properly visit the capital without having been to the West End. Originally, it was a broad collection of upper-class world's features, such as all the beautiful, but expensive town houses and palaces, fashion-shops and high-end entertainment at it's best. When talking about London's West End today there are many different things one could be referring to. One could describe West End in the following way: Entertainment is located around Leicester Square or Covent Garden. 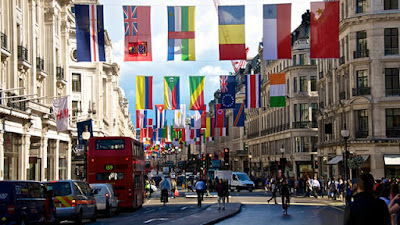 The shopping is at Oxford St., Regent St., and Bond St. For other people The West End means the whole City of Westminster area west of London's historic centre. In the West End of London you find The Savoy, The Trafalgar, the Mountbatten Hotel, The Langham or the St Martins Lane Hotel, among others. It is here that one can find London's best hotels. Also, visitors wouldn't want to miss out on the West End's theatre scene. The West End theatres can easily compare to New York City's Broadway. The West End's 40 theatres offer absolute world class. The performances featured in West End theatres are usually of the classic, musical or comedy kind. Billy Elliot, Phantom of the Opera, Wicked or Les Miserables are to be seen alongside other grand classics like The Woman in Black, War Horse or The Mousetrap. The capital's West End theatres are a must-see for anyone taking their London visit seriously. Alongside the big-name shopping locations like Ralph Lauren, Topshop, Selfridges or Fenwick and the Apple Store, the West End of London also features lovely less-known shopping opportunities like the ones on St Christopher's Place, Carnaby Street or St Martin's Courtyard. Those looking for the above will however head towards Oxford Street, Bond Street or Regent Street. It is also worth it, if you take the time to explore the West Ender restaurants and bars. There is most certainly something that suits your mood of the day as you replenish your traveler's soul and body before finishing the day at the theatre. All nationalities' tastes can be satisfied in West End. Japanese at Aqua Kyoto, Italian at Jamie's, tapas at the Opera Tavern, you name it. Hot destinations are found either near Covent Garden and St Martin's or around Carnaby and Regent Street or the Opera Quarter. All night long, you will find trendy locations waiting for you in the West End. Dirty Martini or the Albannach are some of the best bars in London. The avid dancer will want to look for Tiger Tiger or the Cafe de Paris, where no matter how late, the night only begins. At Christmas, the streets of The West End of London are nicely decorated. The New Year's Day Parade takes place there too. During summer, West End Live lets you enjoy for free the best of the capital's live music. 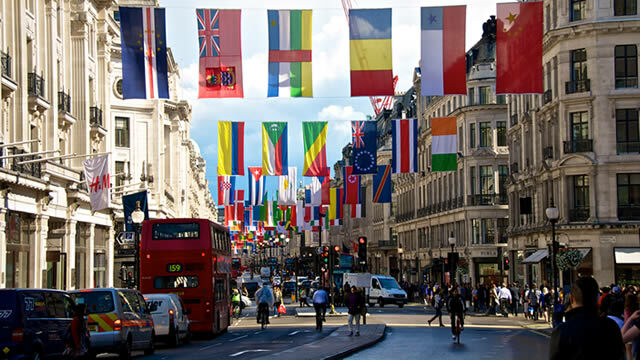 Regent Street and Oxford Street are traffic-free on many occasions. We are a top estate agents with a wide selection of houses. If you're interested in moving now or in the near future, or would like to learn more about our team get in touch. Our experienced team are always pleased to help.